One of the features asked by our Pro members is the ability to upload a PDF portfolio resume! We’re happy to announce that you can now do this. Edit your resume here and upload a PDF file (up to 20MB), and it will appear on both your ArtStation powered portfolio website and your ArtStation community profile. 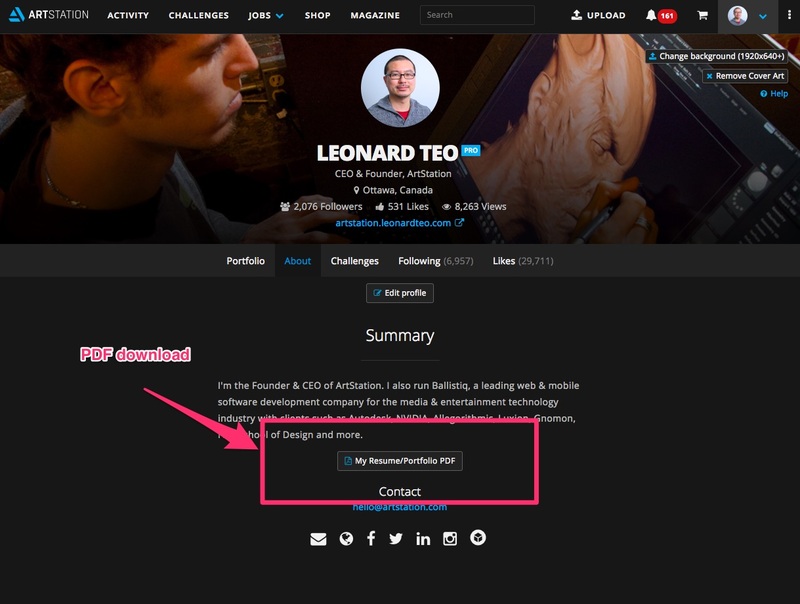 ArtStation Pro members now have the ability to upload PDF resumes/portfolios to profiles. After saving, the PDF appears on your profile as well as your ArtStation website.